Effective July 1, 2018 Aetna® will become your health insurance carrier. Of utmost importance in making the decision to move to Aetna was little or no provider disruption. 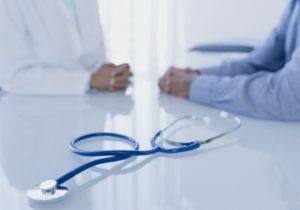 The major doctor groups of Alamitos, AppleCare, Brookshire, Cedars Sinai, Good Samaritan, Harriman Jones, HealthCare Partners, Hoad, Lakeside, Lakewood, Long Beach Memorial, Memorial Care, Orange Coast Memorial, PrimeCare, Prospect, Regal, Riverside, St. Joseph, St. Mary, Torrance, UC Irvine, and UCLA, among many others, are fully in Aetna’s network. Enter www.aetna.com into your browser. Click on “Find A Doctor” in the top banner bar. Next, there will be a pop-up box requesting you to “choose an Aetna plan.” Click on the down arrow on the right side of the box. For the HMO: scroll down to “Aetna Standard Plans” and click on “HMO” (the fourth item). Click “Continue. The next screen will indicate whether your doctor is within network.